Cars and dogs are a hit combination but not every car is comfortable to travel in with your dog. We are a family of seven, 5 of whom are dogs, so I have very specific requirements of a car. And the Tata Hexa pleasantly surprised me by meeting almost all of them! Over the last 7 years we’ve travelled with the dogs in a variety of cars and each trip was a learning experience on dogs and cars; what works for them and what doesn’t. The most important lesson I learned when travelling with dogs – make sure your dogs are comfortable, it’s more important than you think. Almost all dogs love cars but that doesn’t mean they are comfortable. The amount of cabin space, the roll of the car, the smoothness of the drive, the temperature control inside the car, these are some of the things that can make journeys fun for your dog and you. It was some of these things I was looking at when I checked out and drove the Tata Hexa over the weekend. I wanted to evaluate how well it would work for me and my dogs, and with this in mind I build a checklist. Here’s 5 reasons why I think the Tata Hexa is great for traveling with my dogs. Just like we cramp after sitting in one position for a long time, dogs cramp too. In small or restricted spaces dogs get fidgety and restless. Dogs need space to move and stretch. With my pack I’ve noticed they like to rotate between windows, taking turns at each one. The Hexa which is a six seater has a lot of space and windows which makes it a car I think my dogs will enjoying riding in and looking out of. Of course it won’t fit all 5 of my dogs, very few cars can, but it can definitely accommodate 4 of my dogs – 1 big dog, 1 medium dog and 2 small dogs – with ease. Many people use seat belts for their dogs in cars, I prefer to let them move about and make themselves comfortable. It’s an arguable point but it’s what seems to work for my dogs. However allowing free movement requires that the cabin be a safe space in which the dog does not get hurt. There should be no sharp edges and protrusions that can cause injury. 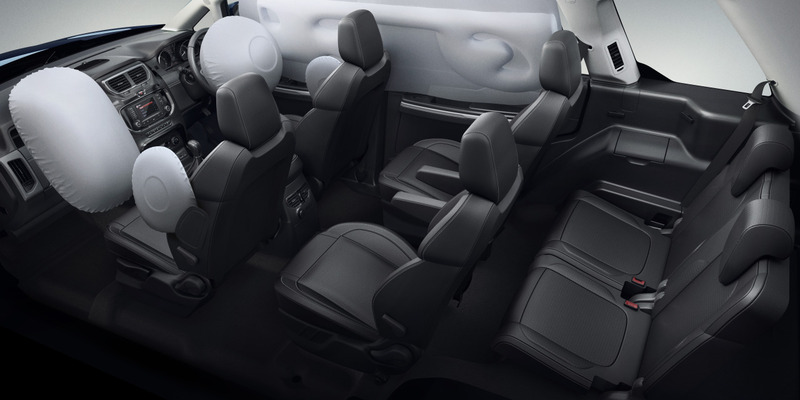 The Hexa has soft touch interiors, all the surfaces feel soft to the touch. They aren’t cushioned or squishy but neither are they plasticky. All edges are well rounded and there are no sharp edges. I don’t like jerky drives, I hate being thrown forward and back. The dogs don’t like it either. Sudden acceleration and braking throws them off balance and disorients them. It’s this jerky movement that is one of the main reasons dogs have motion sickness and may dislike cars. But jerky driving isn’t just about driver skill, it’s also about the car and its built. 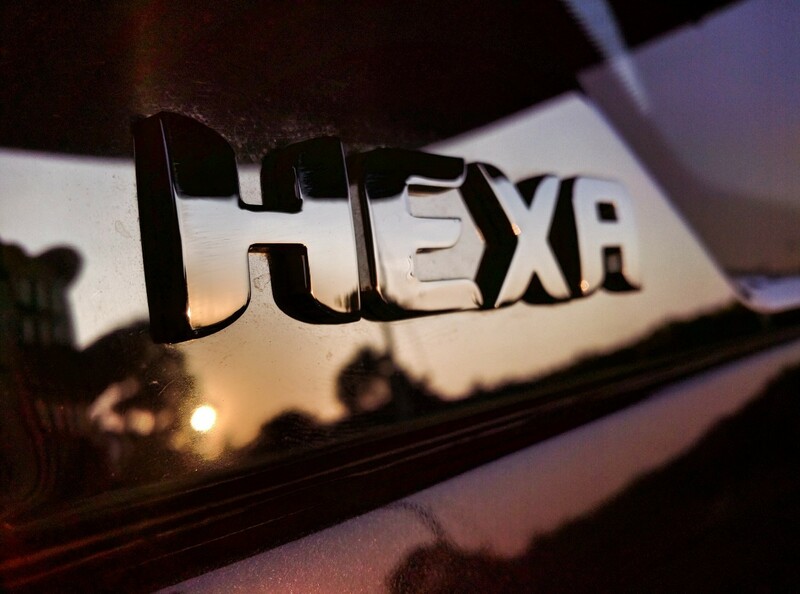 Over the weekend I got to experience both the manual and the automatic variants of the Hexa. In both versions I found the drive to be smooth. The car accelerated and braked with minimum jerk, and there was barely any body roll too. 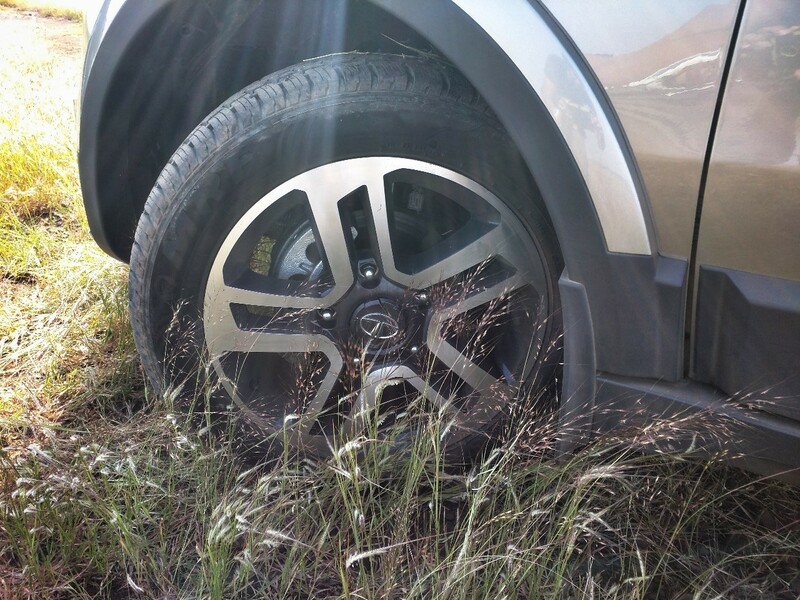 Even in the off road test, the car controlled sudden braking well with its EBP (electronic brake prefill) technology. Cars can easily become ovens for dogs. 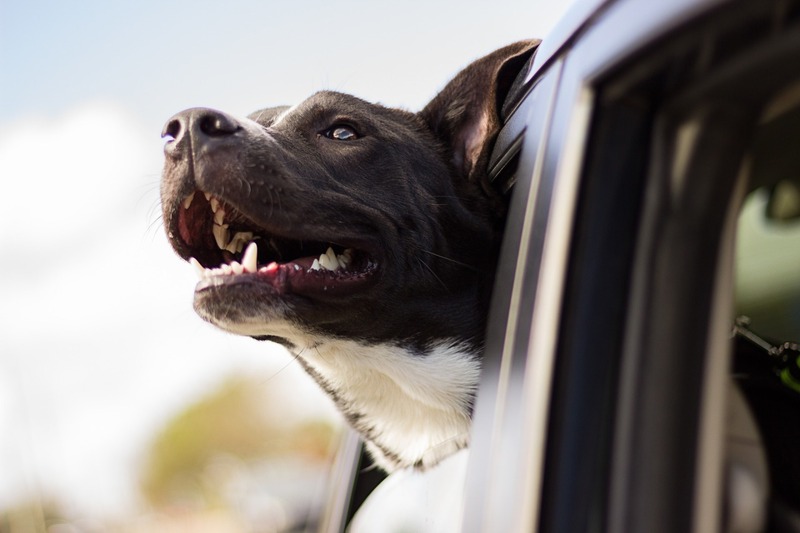 Without the constant movement of cool air dogs can over heat quickly inside a car and even suffer a heat stroke. Keeping windows open when driving is one solution, but this is a dangerous thing to do. Dogs have been known to impulsively jump out of cars, get their heads stuck in windows and even get hit by high-speed insects and debris when they stick their heads out. The safest and best option is to keep your windows closed and the air-conditioning running. However in most cars, it’s only the front row or first two rows that have air vents, and this makes for bad air flow. 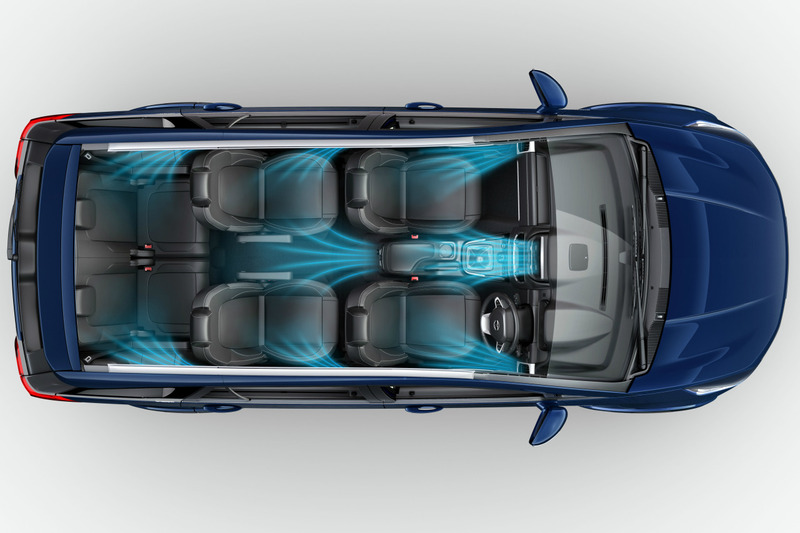 In the Tata Hexa though, each row and seat has its own air vent and the fans for the passengers in the front and the back can be controlled independently, so there are no extreme temperature pockets and there is uniform cooling across the car. The air-conditioning also has climate control for cooling relative to the outside temperature. Dogs startle and get agitated at sudden loud sounds, so a noisy truck coming too close or a loud honk next to the car makes dogs jump out of their skin. White noise or music reduces the effect of the loud noises outside but in most cars the music across the car isn’t balanced and its louder at the back than in front. Now take into consideration that a dog hears 10 times what we do, can you imagine how loud the music would be to them. The Tata Hexa however wins on both counts. The cabin is super silent, so silent in fact that, the person sitting right at the back can hear clearly the driver speak in a normal voice in the front. 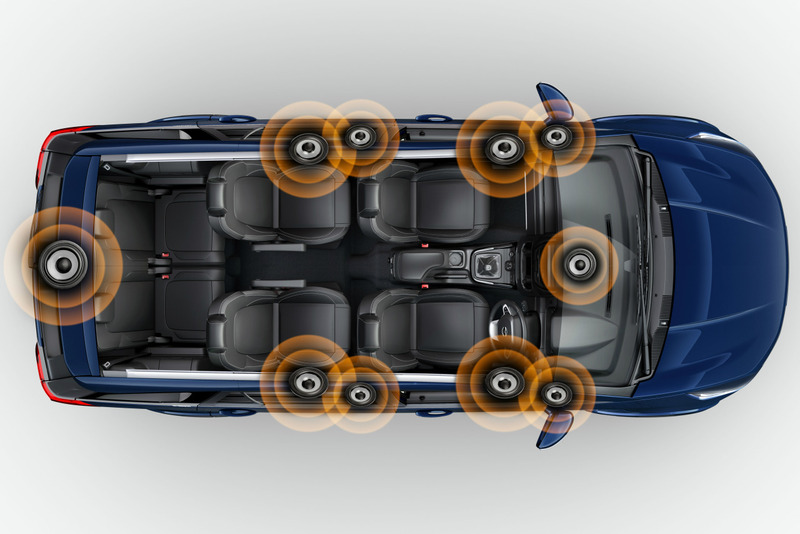 And the music system is top-notch with JBL speakers spread all around the car to give surround sound so you can keep the volume low and yet hear each note clearly. Together they make for a comforting atmosphere inside the car. 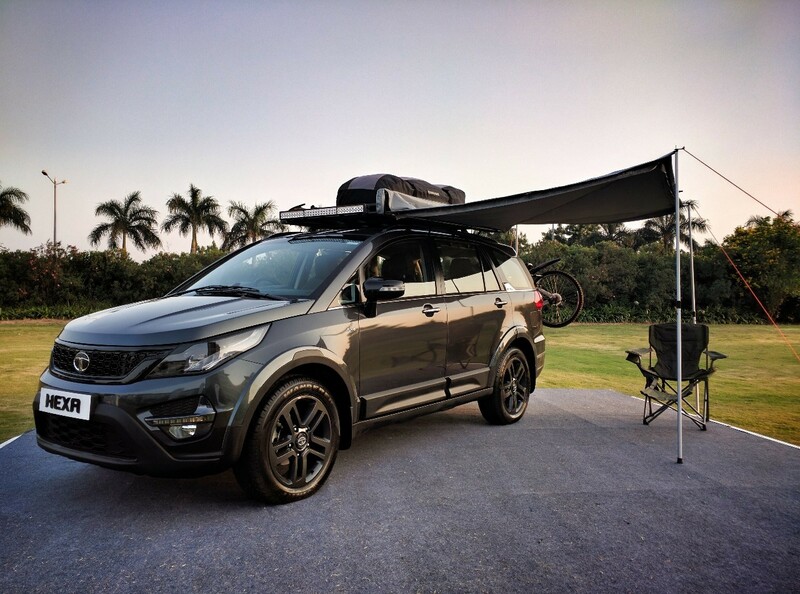 Apart from these features of the Hexa, the Tata Motors team has paid attention to a lot of other little things that make traveling in the Tata Hexa an enjoyable experience. There’s a chiller above the glove box where you can keep food and water cool with the help of the ac. So, you can have chilled water even on a hot day! And the windows have built-in sunscreens you can deploy easily to keep the harsh sun out. Another add-on that wow’ed me was the carrier that can be added to the roof to make for more storage space. With the dogs taking up all the cabin room, the roof storage is critical. This is an excellent safety feature but just like with little children, airbags are not safe for dogs and can hurt them badly when they deploy. This feature was and is one of my biggest concerns but it seems like they will not be a danger to the dogs based on the image above, actually they might be great for the safety of the dogs. 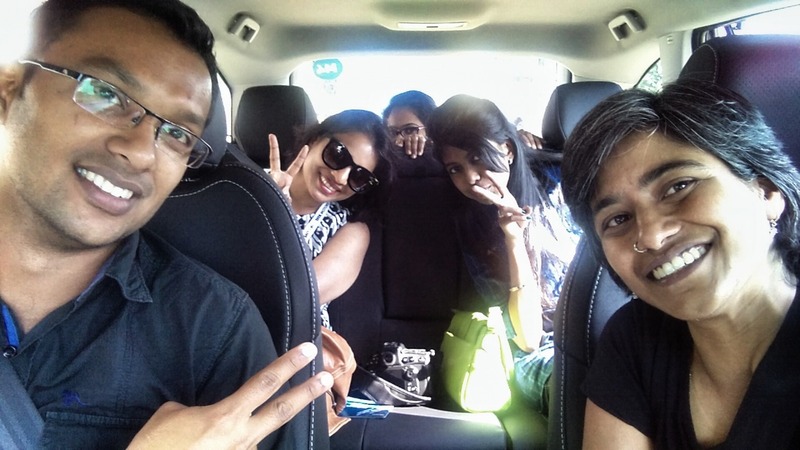 This was my first ever automatic SUV experience and what an experience it was. I enjoyed driving the car and was surprised by the control and ease of driving. It felt like a big car and yet didn’t feel like it. The steering wheel gives lots of feedback and is very responsive. Not having to worry about gears on bad roads and traffic was such a blessing. I’m completely convinced about the automatic version except that it does not have all the driving modes and 4×4 option of a manual drive. If you are a family with dogs, this is a car you should definitely consider. Shoutout and thanks to Tata motors and Indiblogger for inviting me to test the all new Tata Hexa in Hyderabad. The Hexa will launch in January 2017 but bookings open in November 2016. 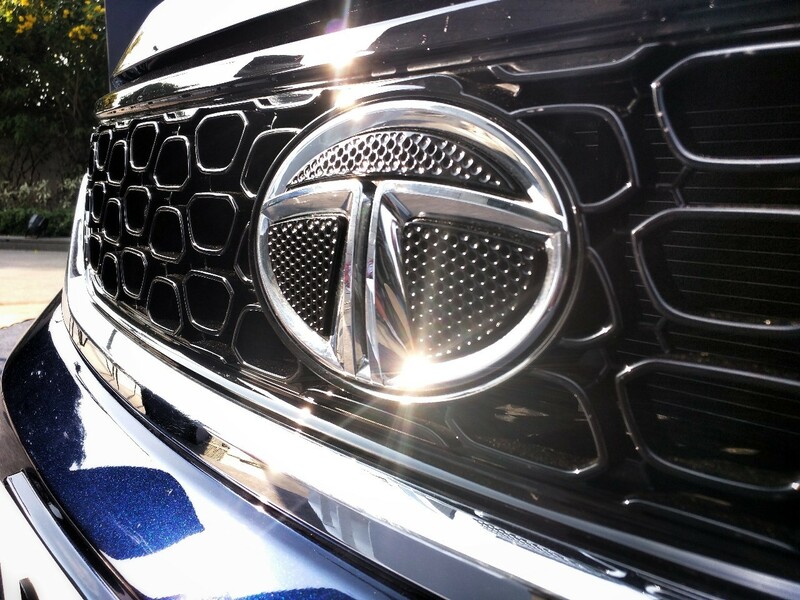 Please check the Tata Motors website for more details.